From the Ancient Greek ἀμαρύσσω “to shine,” Amaryllis is a symbol of determination and outstanding beauty. After World War I, Allinson created many posters for various destinations serviced by the British Railways. 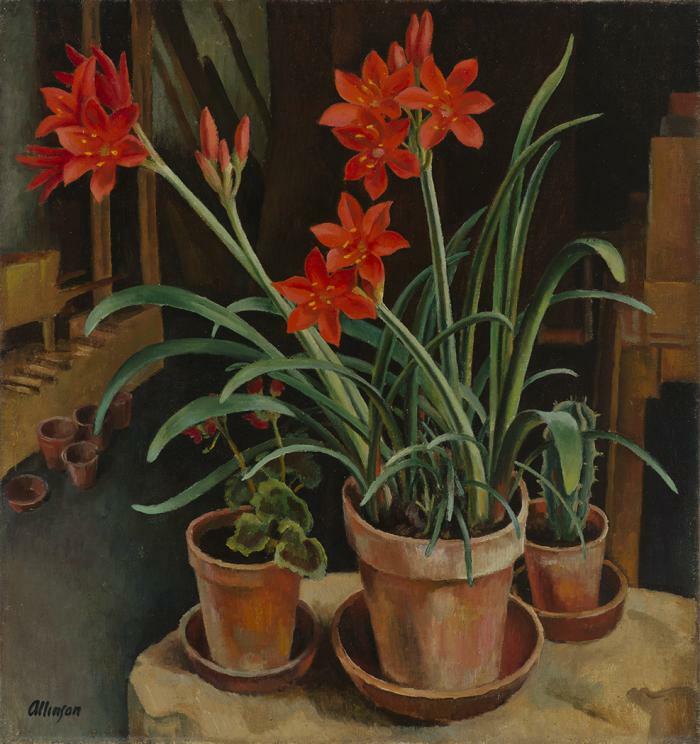 Even though it is not a landscape, Amaryllis gives the audience a small glance into Allinson’s personal landscape. 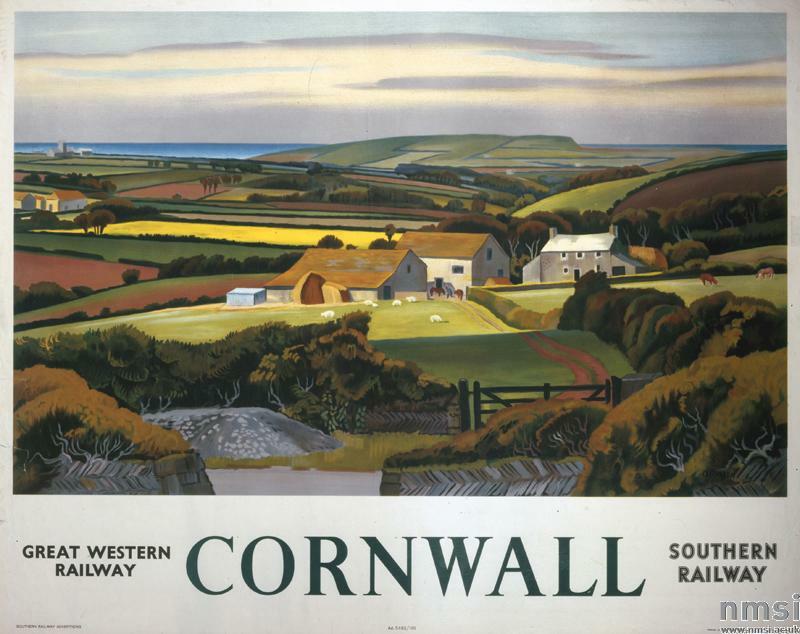 Southern Railway & Great Western Railway, Cornwall by Adrian Allinson, 1946.
to impress us, dull as we’ve grown.